Hi Guys! Where are we running to next? 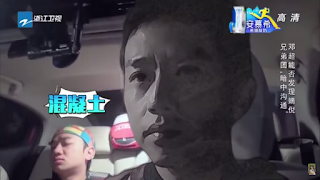 Early in the morning, only Deng Chao invited out for a ultra secret mission.,,, playing spy again. This time without a water gun, he must outright rip off all of the other players' name tags to win. At first he's daunted as it's not the first time, the others will be on guard, but true to his personality, he accepts the mission and even makes a James Bond re-enactment of blowing his "handgun" saying he will prevail again! Unknown to him, everyone else is next door hearing everything going on! They even joke about how they are counter spying on the spy lol, Guess it won't be that easy after all. Everyone is pumped for their first task which includes digging a tunnel in the sand. It's a hilarious scene as those who don't make their tunnel wide enough get stuck and can't get out. From the beginning the counter spies are already bullying Deng Chao by shoveling sand back into his tunnel when he isn't looking. This time the whole terminal of an airport is shut down for their final show down. 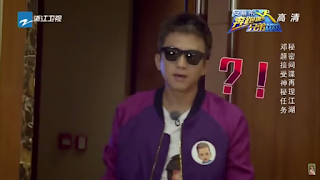 The counter spies have to complete missions before letting Deng Chao rip off their name tags, all without raising his suspicions. In order to find their mission they have to ask airport workers with a code: "I need to go to the bathroom, do you have toilet paper?" The funny part is not everyone knows about it so one lady Li Chen asks responds with "No I don't have any but I'm sure there's some in the bathroom"
Unfortuantely for Angelababy, they say we are family mutiple times hoping he will respond the same, even asking Deng Chao, are we family? (He responds with a simple Yes) without any success. 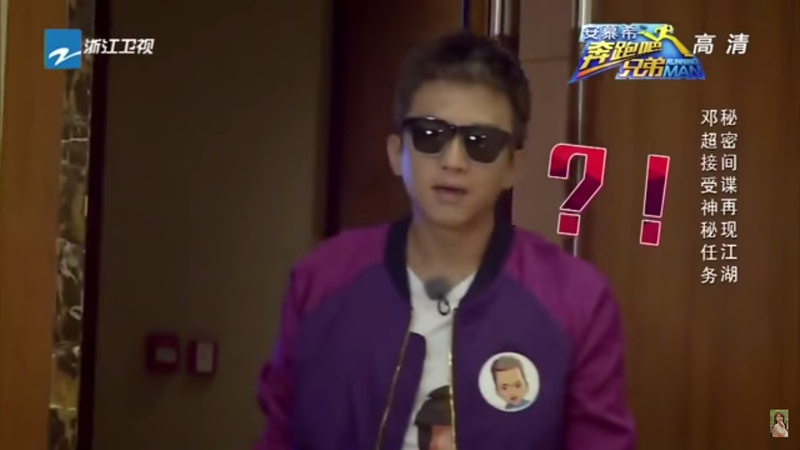 Sad and disheartened but afraid to force it as Deng Chao will get suspicious, she leaves and rounds with Li Chen. Li Chen and Michael have "easier tasks" of throwing a shoe through a hole and pushing carts from one gate to another. But of course anything requiring manual labor is extremely hard for our resident genius (Michael) so he takes forever doing it and complains the whole time. Lastly, Li Chen and Angelababy try a pact with Deng Chao again this time successfully getting him to say we are family. With their missions complete, they commence the second part of their plan, getting name tags torn off. They pretend to be preoccupied while showing their backs to Deng Chao and making funny faces at the camera. 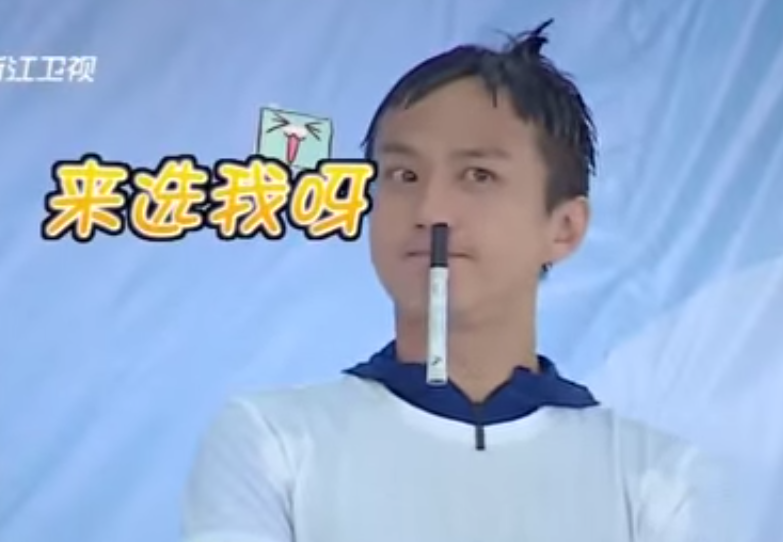 After which they hilariously pretend to be heart stricken and even telling the black clothed men to cover their mouths while they pretend to try and yell out information to the others of Deng Chao's spy status. Several other ladies come out with bigger airplanes and awards for the others!!! Wrapping this up, my last and personal comment: Where can I get those t-shirts????? OMG they are sooo cute!! !